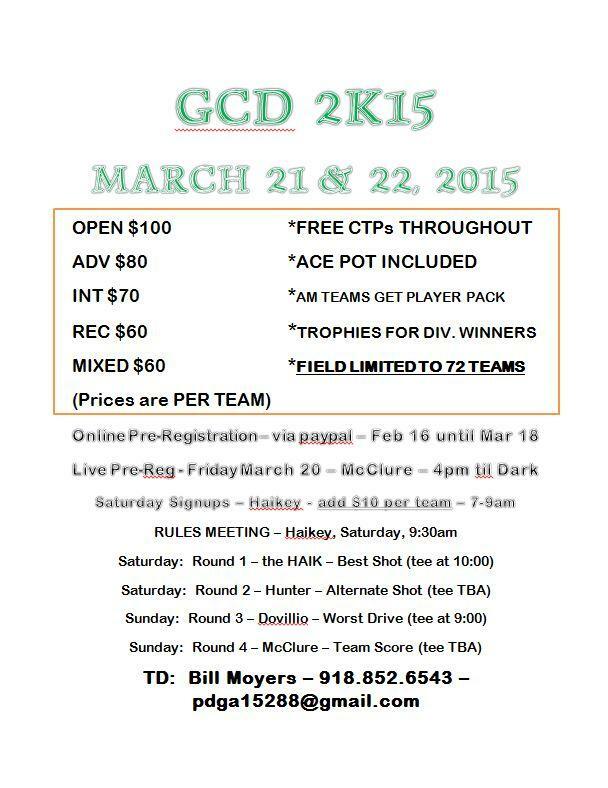 Tulsa's annual Green Country Doubles event. Two days, four rounds, four formats, fun and challenging way to start the 2015 season off! Refunds will be given in full up to seven (7) days prior to start of event.